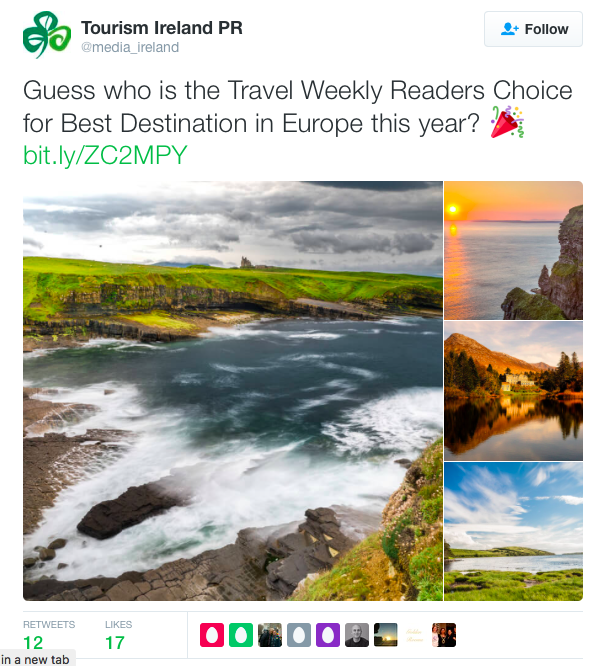 Ireland Is Named The Best Place In Europe To Visit - Again! Travel Weekly has been named the best place in Europe by travel agents in the US. This is the third time in a row it has won the award. The poll was conducted by Travel Weekly, the leading weekly newspaper for American travel agents and travel professionals. 15,000 of its members voted. This is the third time in a row that Ireland has beaten popular destinations such as England, France, Italy, Germany and Spain.